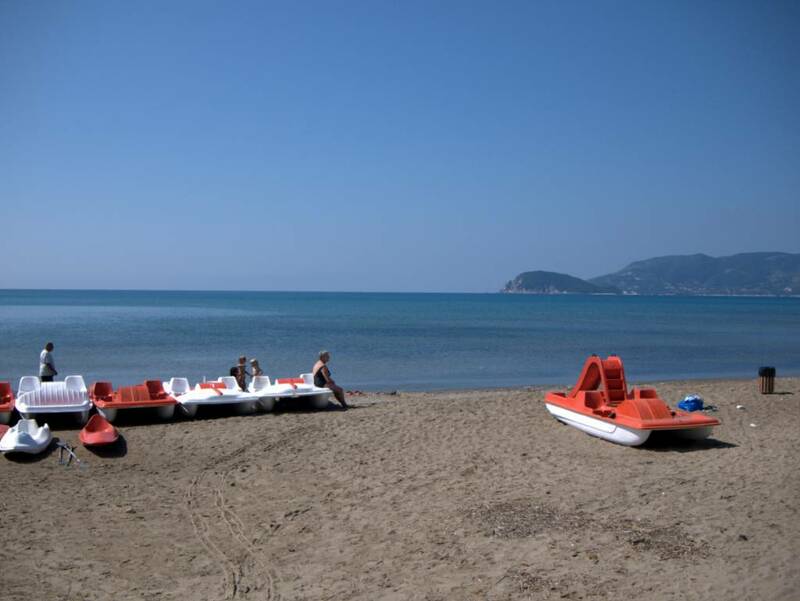 Continued on from Laganas beach and close to Zakynthos Town, Kalamaki is one of the most popular beaches on the island. Beneath the rocky area you can find a nice spot with natural shade where the fine, golden sand stretches as far as the eye can see. 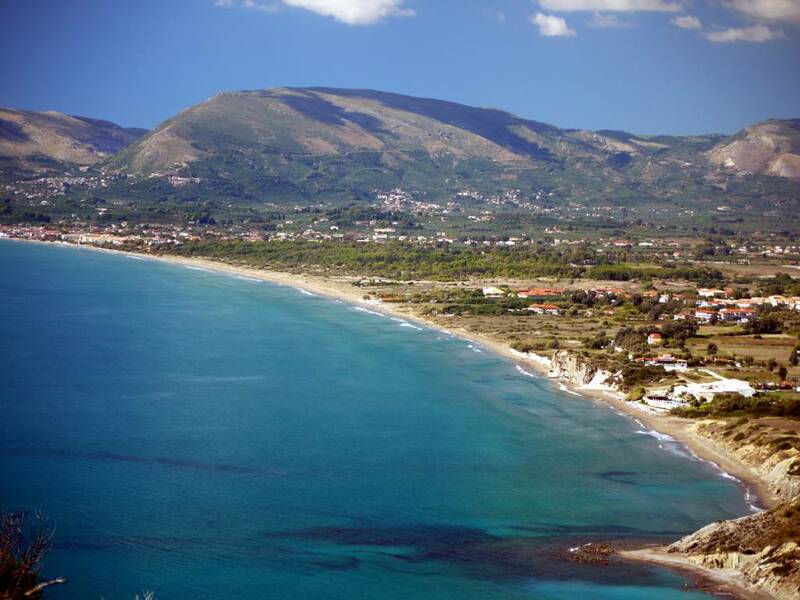 This vast beach with clear blue sea is a favourite destination for the logger head turtle to lay its eggs and is protected by the National Marine Park of Zakynthos. There are umbrellas and sunloungers to rent but they are restricted to a few places. If you do wish to use your own umbrella you should stay very close to the waters edge as you may unwittingly destroy a turtles nest. The small fluffy, round, brown balls that you will come across here on the beach are a special kind of seaweed, and if you like seashells here at Kalamaki you will find lots! Bring with you any supplies that you may need as here along the beach you won't find anywhere to buy them. Try and stay here for as along as you can so that you can enjoy the wonderful colours of the sunset but then be sure to leave immediately after as it is forbidden to be on this beach after sunset!